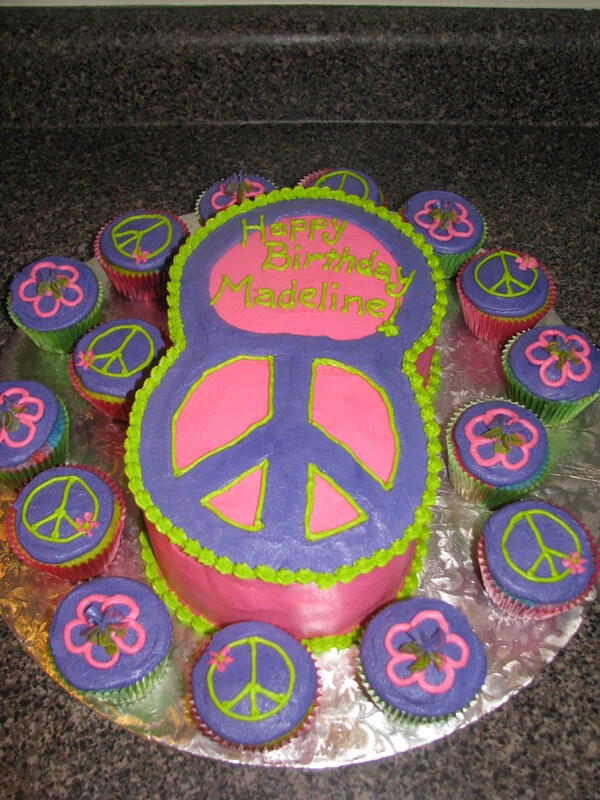 This cake is from over 3 years ago!! I don’t think I have posted it before. The best part was the inside, the client wanted it to be just as groovy inside as it was out side. 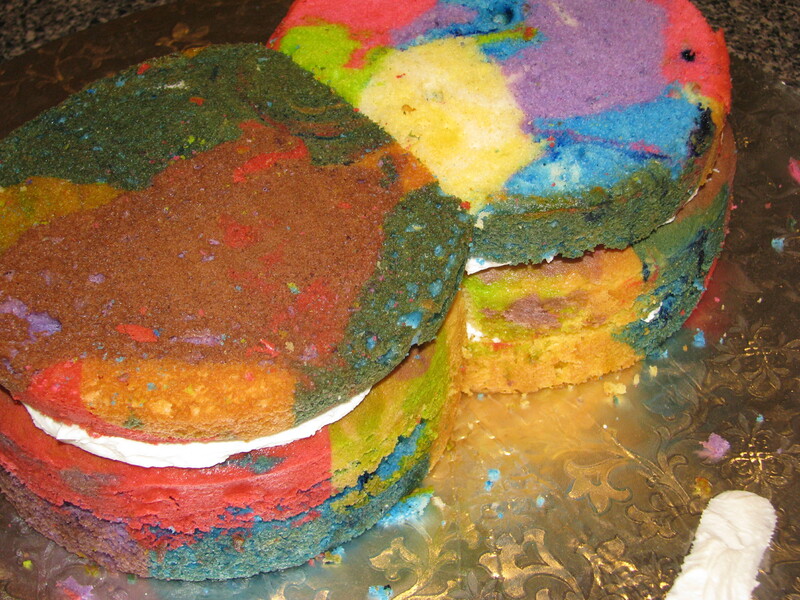 I snapped some pictures before stacking the cake. So fun right! 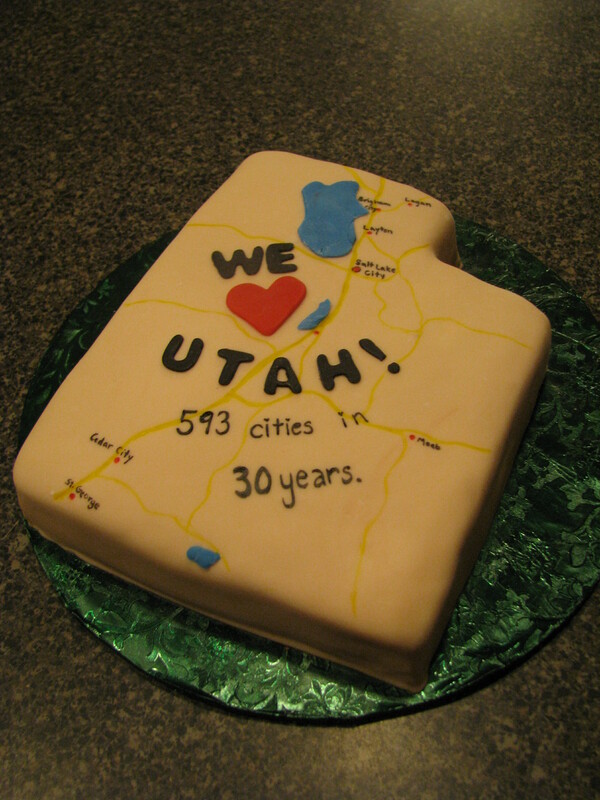 This next one has a fun story, I got a call from a couple that wanted a cake to commemorate the completion of a goal to visit every city in Utah. They were going to head out to the last town on their list and it was even going to be covered by one of the local newspapers. Such a fun idea! These last two are more recent. 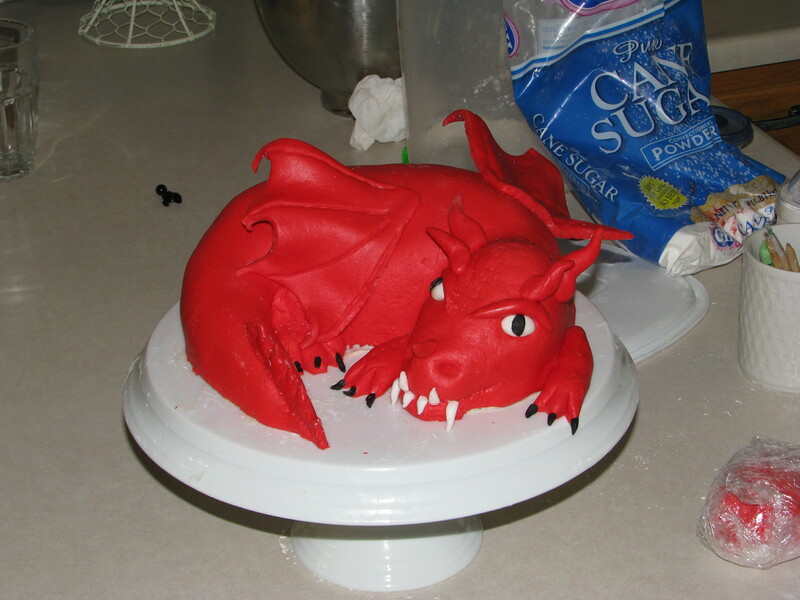 The little red dragon was for my eldest son who loves dragons. If you can’t tell, I made this in a hurry, before the Grandparents and uncles arrived. The kitchen was a mess but the kid was happy and that is what matters. 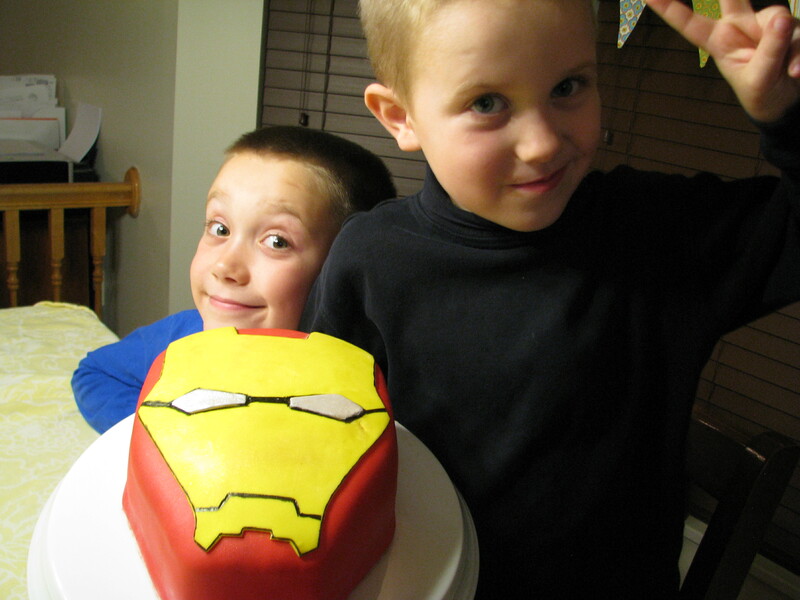 Next was an Iron man cake for another of my sweet boys. It was fun and fairly simple. 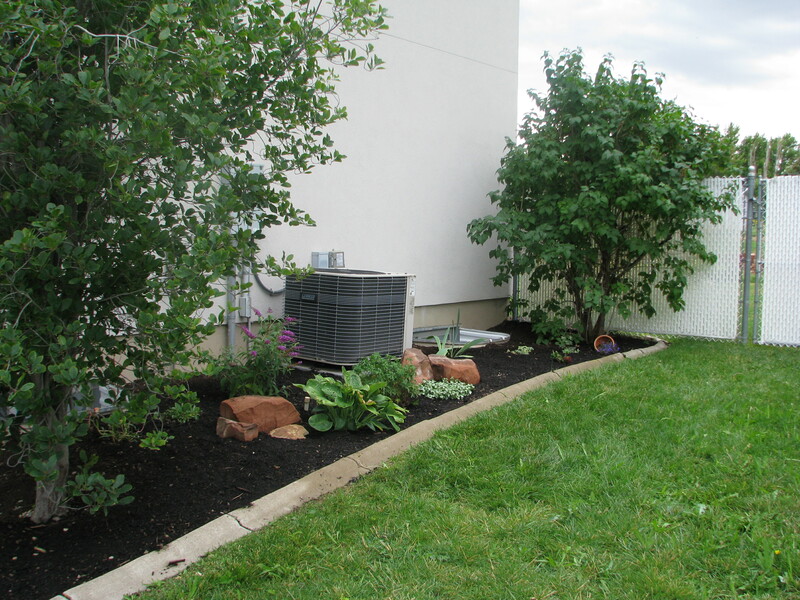 Side yard before and almost afters. In May it will be two years since we moved to our home. I love this house, love our neighbors, love the location, love our big old yard, love the all the natural light in our house. There is a lot to love. However we knew going in that there would plenty to do to make it the home our own. I think the first update we did was new toilets. One of the kids had taken to calling them Grandma toilets. Why, I don’t know, but they were tiny, and didn’t work properly, ever. Now, I’m sure you’ll be disappointed, I don’t have picture of toilets today. Most of our updates have been not super exciting, like the toilets, or fixing shredded window screens, or outdated smoke detectors. The yard has been a little more fun. The original owners built this home as their dream home from what we’ve been told. He loved to garden and she realllly like pink(more on that later). 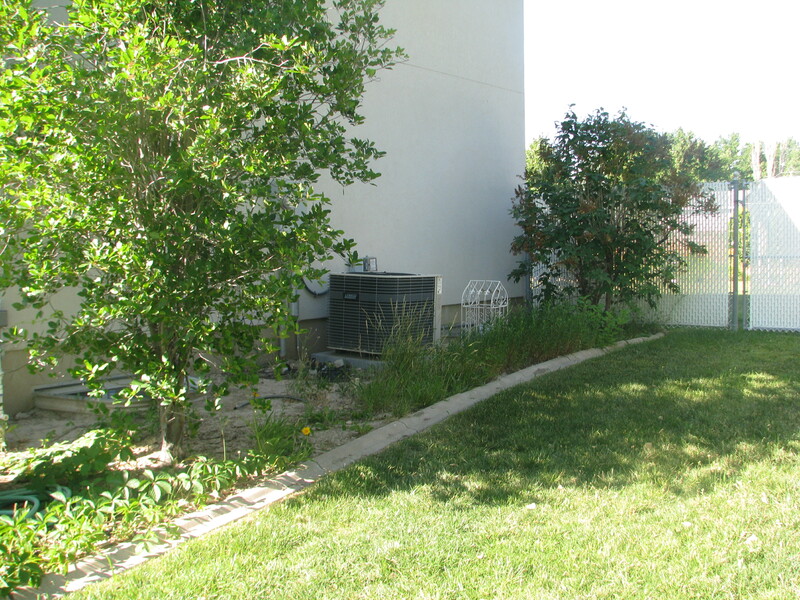 By the time the house came to us, however, the yard had been the victim of benign neglect for about 8 years. Weedy and rocky, the soil was like cement. The weeds were even kind of sparse because the ground was so hard. One upside was that it was nice and shady in the afternoon, and we don’t have much shade on our property. 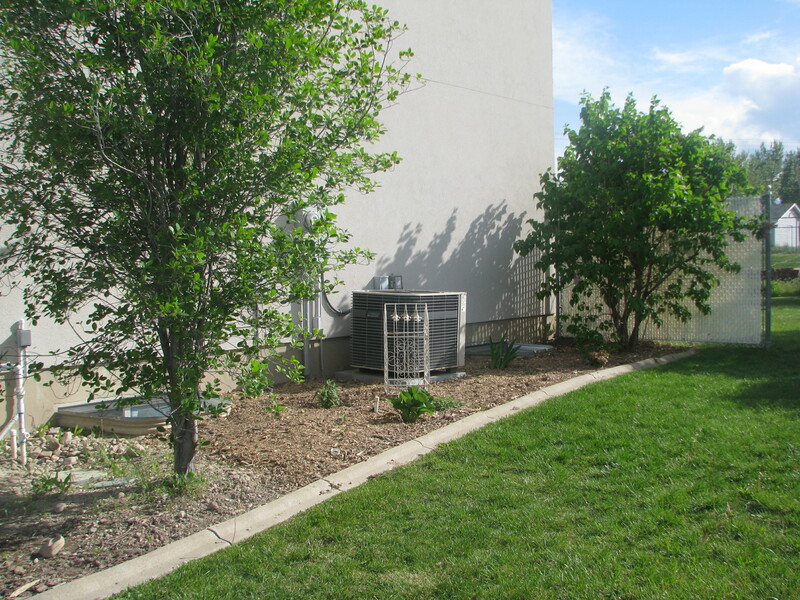 The weeding went fast and the existing lilac and buckthorn were in good shape. I used some wood mulch from some stumps we had ground down to suppress the weeds. This the best “after’ picture I got. Since this was taken, I planted another butterfly bush along with some pansies and sea oats grass, and transplanted another brookside geranium. In the spring I hope to divide the hosta and add some more color. I don’t usually post too much personal stuff on this blog but I thought that maybe I should give a few reasons for my nearly year long absence. For a while last fall, life was wild, we went on a trip and came back to a flooded home, my sweet grandma passed away and my mother came to stay for over a month while she and her siblings settled my grandmas estate. 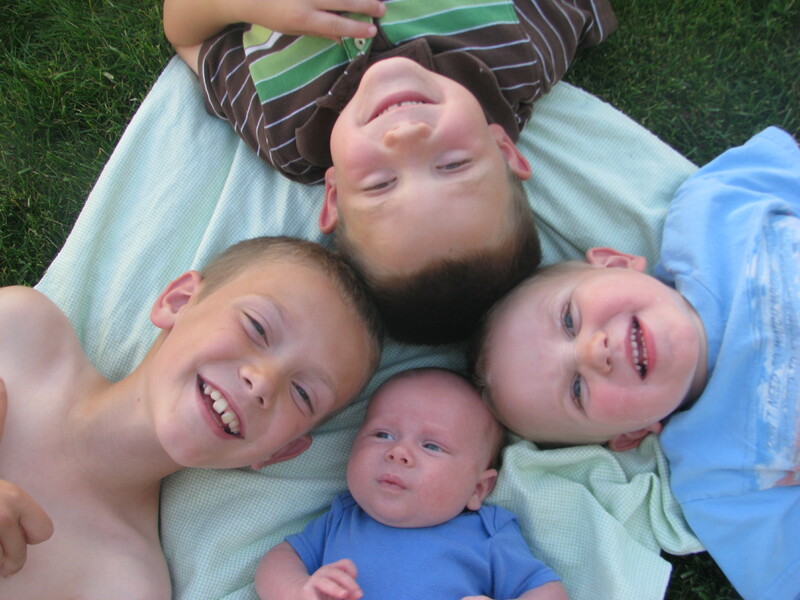 But by far the biggest change in our life was that we found out we were excitedly expecting our fourth child. 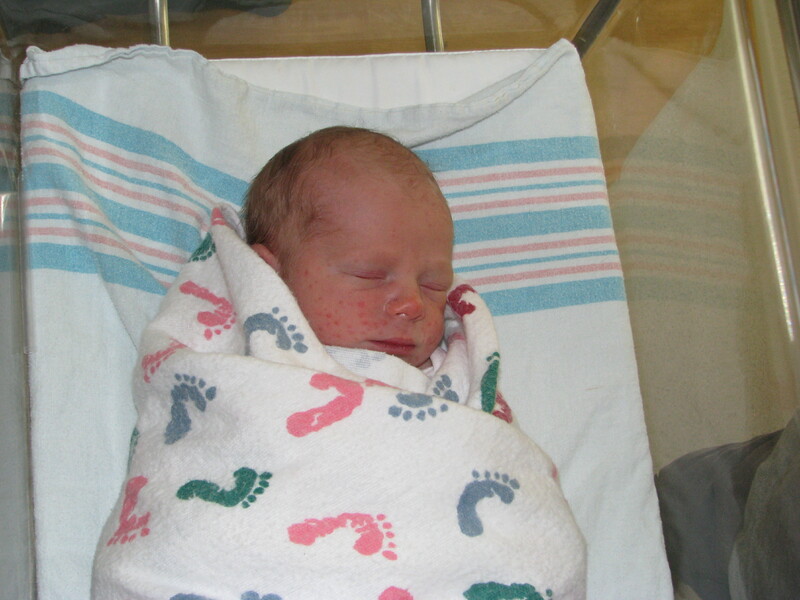 I am not the happiest baby haver, I get pretty sick and had gestational diabetes, so while there were a few cakes in that time, none of them were posted. Hopefully I’ll get to that soon! 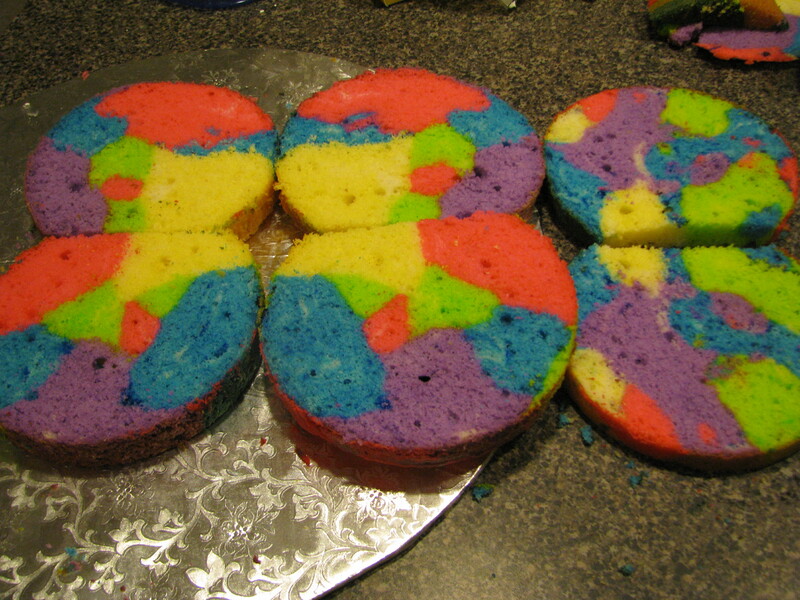 In the meantime, maybe you’ll forgive me if I post something way cuter than any cake I’ve ever made. Brand new little guy. 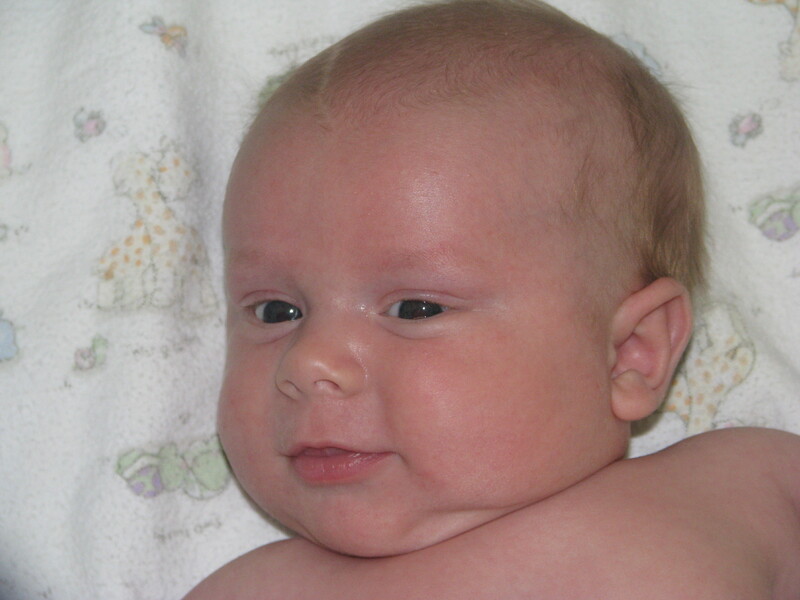 He had one serious rash, which thankfully went away after about a week or two.